We're proud to be on the 2018 Gartner Magic Quadrant. We believe our managed service offerings allow you to achieve the maximum business value from the cloud and reach operational excellence. Our pods provide low customer volume and high customer touch, allowing for partnership on long-term planning and automation. We feel this makes our approach to Cloud Managed Services more collaborative, focusing on enablement and transformation in order to promote cloud native consumers. 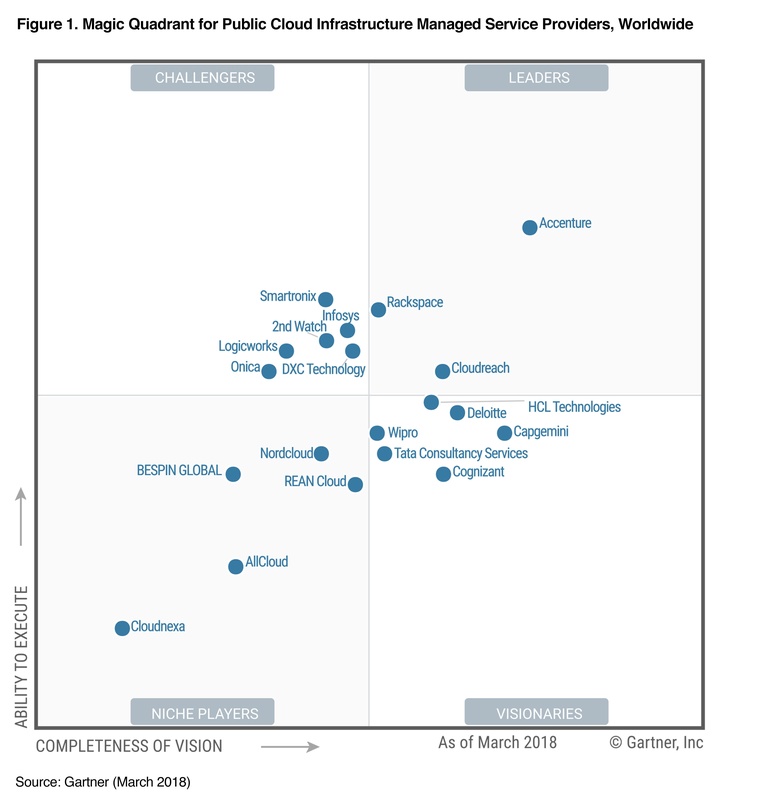 This graphic was published by Gartner, Inc. as part of a larger research document and should be evaluated in the context of the entire document. The Gartner document is available upon request. To read more about Cloud OpsPilot and Onica's Managed Cloud Services, click here.